The cost of maintaining a car can be expensive. There is nothing better than figuring out how to lower your car expenses. There are car payments, auto insurance, gas, and vehicle maintenance. Don't forget changing the tires, replacing the wiper blades and other items under the hood. Plus there are cosmetic expenses, such as trips to the car wash and getting your car detailed. My car and I have spent 10 years together and we have covered a lot of miles- about 165,000 of them – to be exact. My trusty 2004 Chevy Trailblazer and I finished college together, have gone on road trips across the country with my dogs, watched me enter a new decade of my life (hello, 30's) and we are still going strong! I am very happy with my car and have no plans in the near future to give her up or trade her in. I have also been very fortunate to have very little mechanical issues with her over the last decade. This is in thanks to keeping her serviced, doing the necessary oil changes and replacing the tires when the treads wore out. Have you heard of Metromile? Metromile is a newer service that is currently only available in select cities, but the main feature is that they provide lower car insurance rates for drivers that drive under 10,000 miles a year. I switched to Metromile when I lived in the city and did very little driving. My insurance rate dropped more than 50% switching! I managed to scoop up 1 oil change for $10 at a national chain! Normally I pay between $30-$40 for an oil change. My car needs to go back in the shop for some other basic maintenance, so I am on the hunt looking for a good deal online. There are several companies out there that will pay you to take your car in to be serviced. Many of these companies will not only pay for the cost of your car maintenance, but they will also pay you for your time and sometimes even the mileage to get to a dealership or mechanic! I'm not 100% loyal to one grocery store, but I always check out a couple grocery stores deals each week that offer discounts on gas purchases. I can earn 10 cents off a gallon, up to $3.00 off a gallon, based on the amount of groceries I purchase. For example, I love when my grocery store offers bonus points for purchasing their own gift cards. Sometimes they will do a “purchase a $50 gift card, receive $10 off gas purchase.” Be sure to check out if your grocery store offers a similar program. If you have the time, check out your local junkyard and Amazon or eBay for discounted parts. You would be surprised how much less you can pay by doing a little research before letting a car dealership or mechanic charge you full price. When my taillight needed replacing, I managed to find one at my local car junk yard for a fraction of the price. Places like AutoZone always have amazing online deals. Often times you can order an item online and get quick delivery or pick it up in their shop. 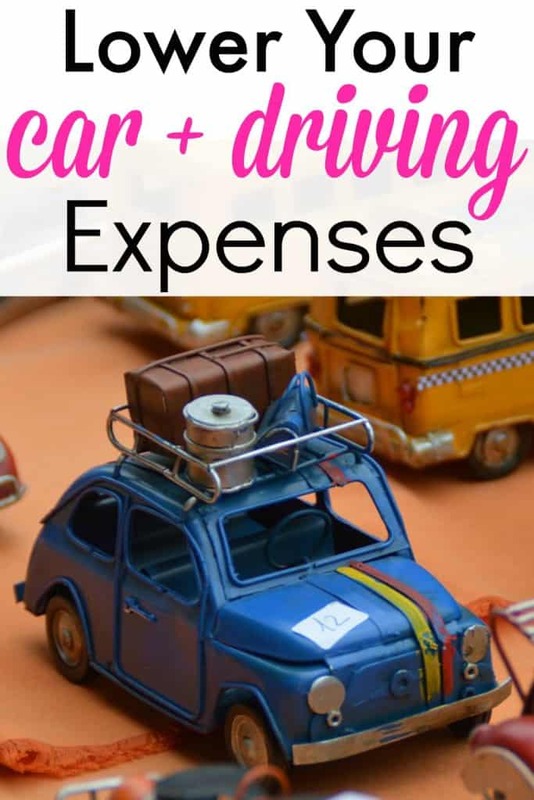 Do you have any tips on how to lower car expenses? Previous Post: « What Should I Do With My Spare Change?